You are currently browsing the tag archive for the ‘faery’ tag. 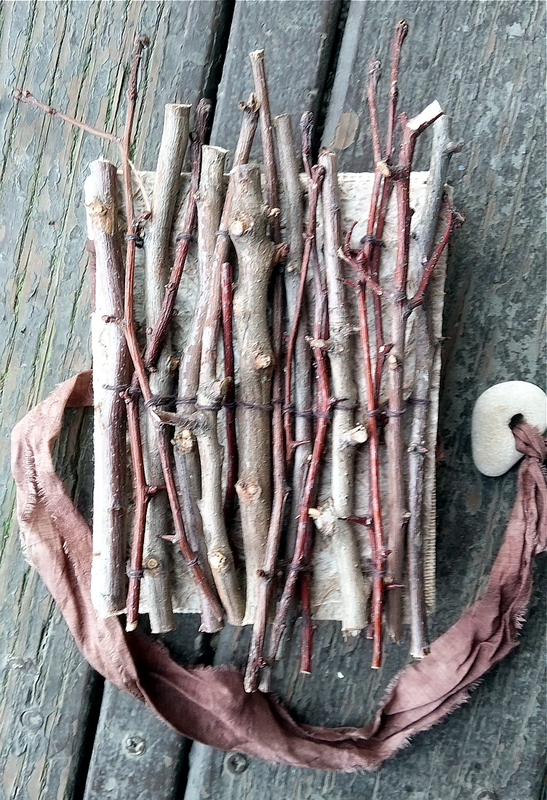 due to the lack of finding a more creative alternative, i am simply calling this spirit journal “the hawthorn journal” (though i do affectionately think of it as a faery journal — i’ll explain momentarily). the cover was very carefully constructed of fallen hawthorn branches we’d been drying in the garage for the past year or so. hawthorn representing abundance and duality in the celtic tree ogham and is also often referred to as “the faery tree”. if you are unfamiliar with hawthorns, they are in fact quite thorny and potentially brutal. one day, about six years ago, my son literally caught his ear lobe on a branch and half-pierced it. they’re sharp! thankfully i suffered not even a scratch (hawthorn and i are great allies). instead of my typical two-strand tie closure, i opted to do a wrap-around closure with a holey stone on a piece of gorgeous silk ribbon that i purchased from lisa jurist’s etsy shop (you can find it here — alert — you will want to buy a LOT!). holey stones are stones that have natural holes in them from water. 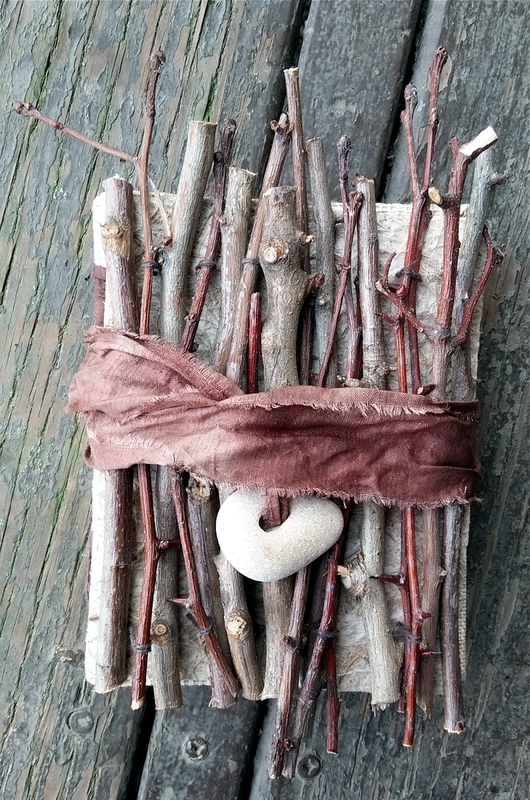 they are also often referred to as hag stones or faery stones (yep, another reference to those beautiful fae spirits! ), and they are very protective, just like the hawthorn. 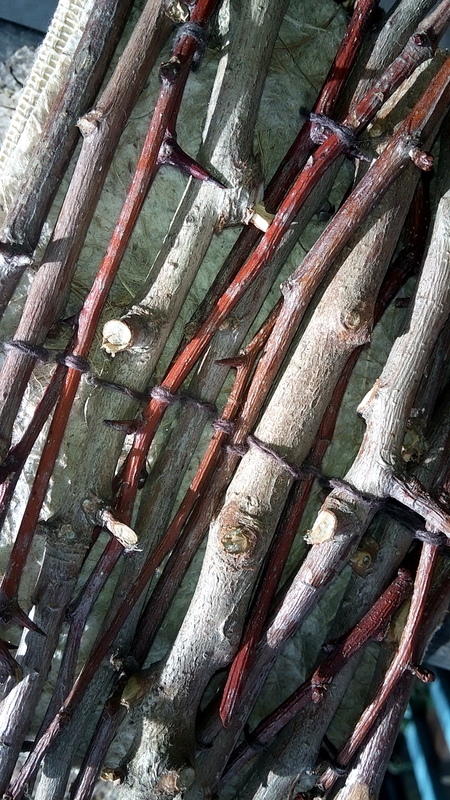 detail of some of the twigs, which have been attached to my very favorite paper in the world called bird’s nest paper. see the thorns? i think this would deter people from looking at your private writings. 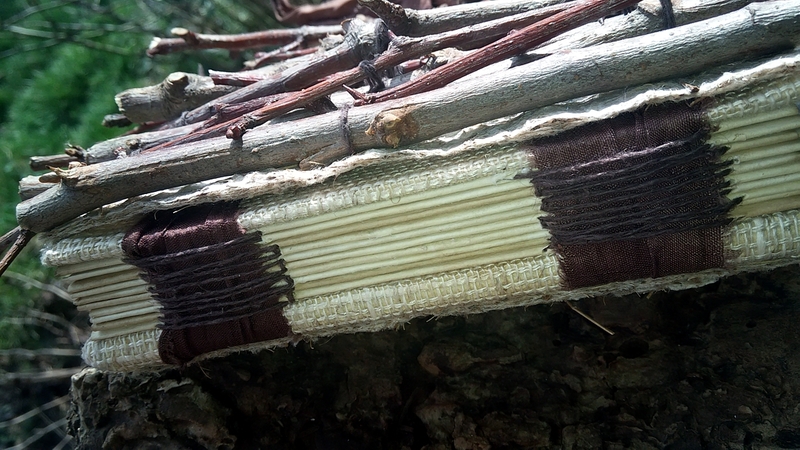 the binding is just one of my typical “i don’t really know how to properly bind so i just make up my own methods” types that incorporates more of that gorgeous brown silk ribbon. it’s a bit rough and primitive, just the way i like it. i see that i accidentally shot this photo before the cover was actually affixed to the book, but you get the idea. that gap? it doesn’t exist anymore. 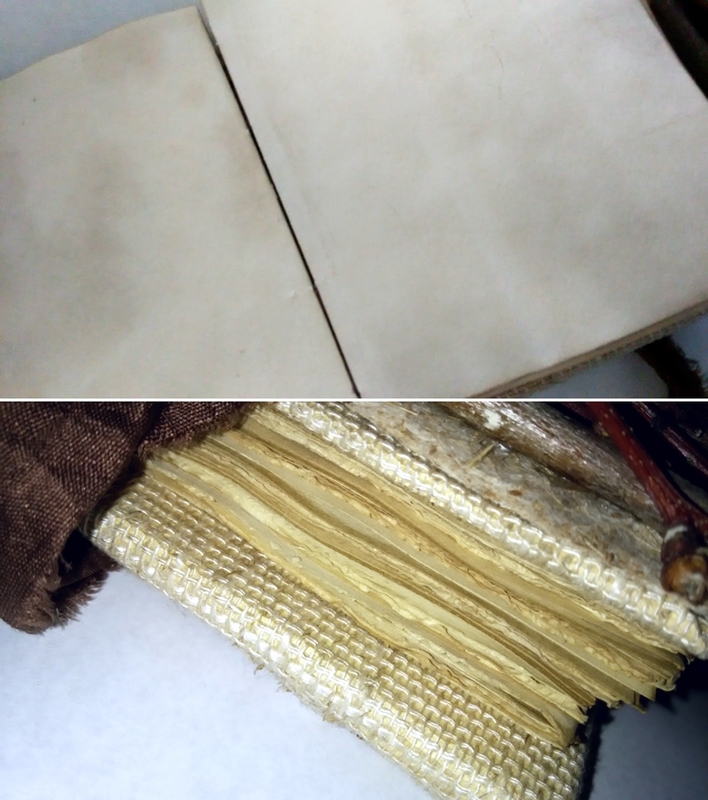 oh, and that stunning burlap type paper is actually 1940s wallpaper. i love the rough but natural feel and the tight weave of it.